Custom Designed Packaging for Delivery of Season Tickets to Buffalo Sabres Season Ticket Holders. 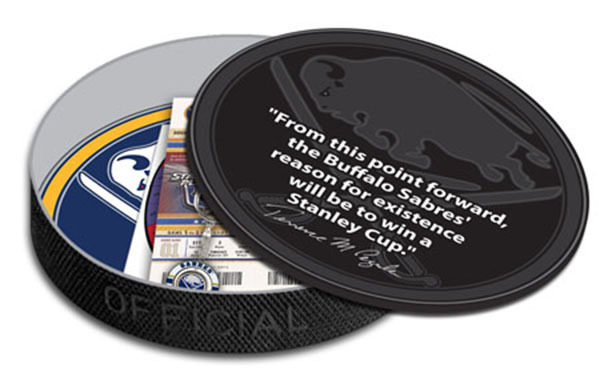 Package was designed in the shape of a hockey puck and included tickets plus special team branded collectible items. Package was meant to be a keepsake.